Buy online our clothing and fashion fabric Ricamo 000300. Light and transparent fabric in pink tulle with fuchsia floral embroidery, embellished with glittering sequins, for evening dresses. 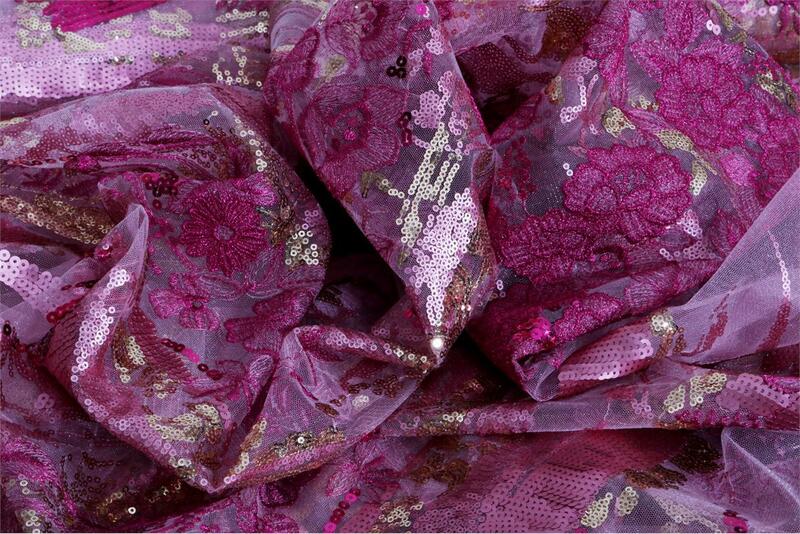 Fuxia, Pink Polyester Sequins Flowers Laces/Embroidery fabric for Party dress.